Shelf life: 24 months from date of packaging. 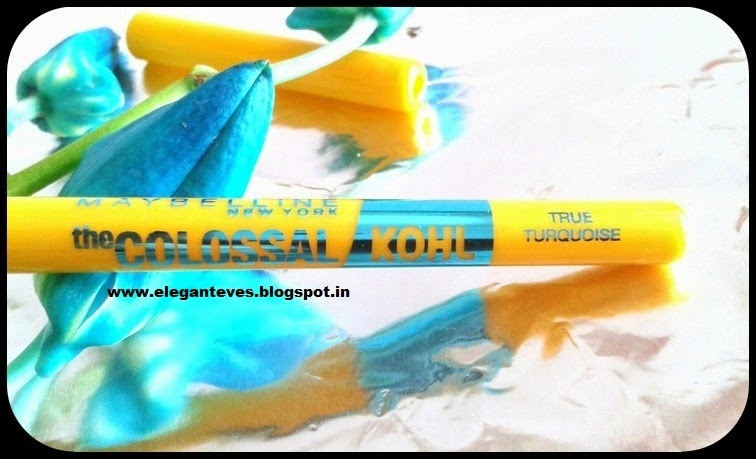 · The kohl is true to its name, a bright turquoise. 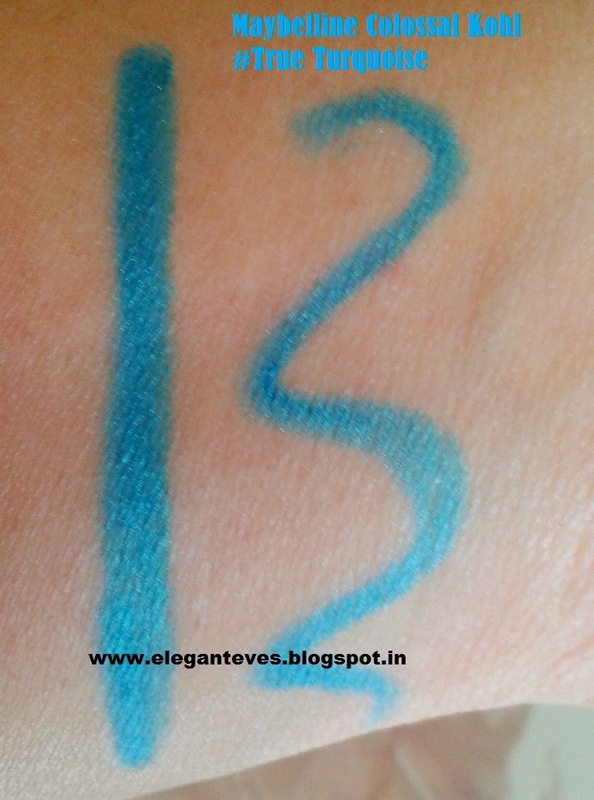 It will suit fair and medium skin tones perfectly but might look a bit OTT in deeper complexions. 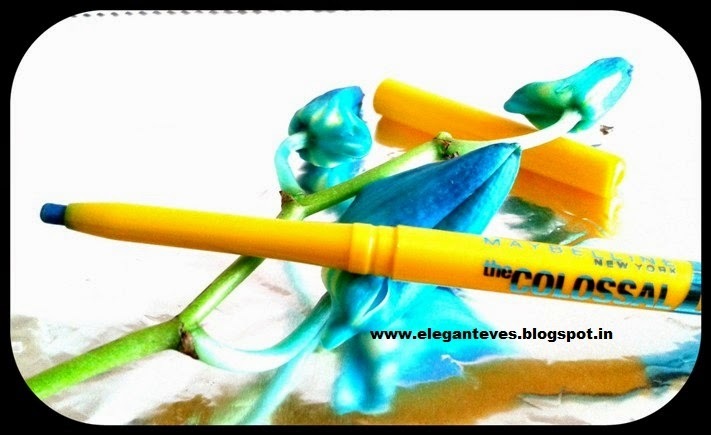 · The texture is smooth and creamy and applies with ease without any tugging or pulling. 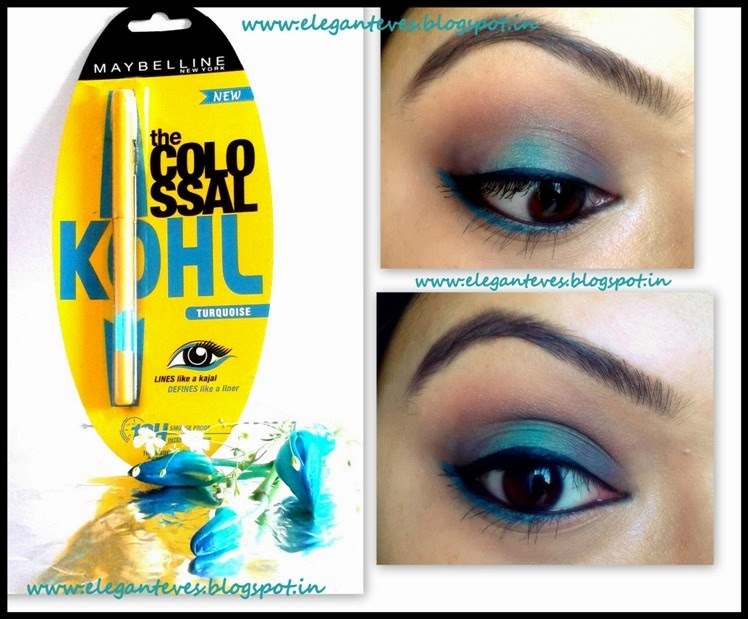 I have even used it as a upper lid eyeshadow because of its texture. 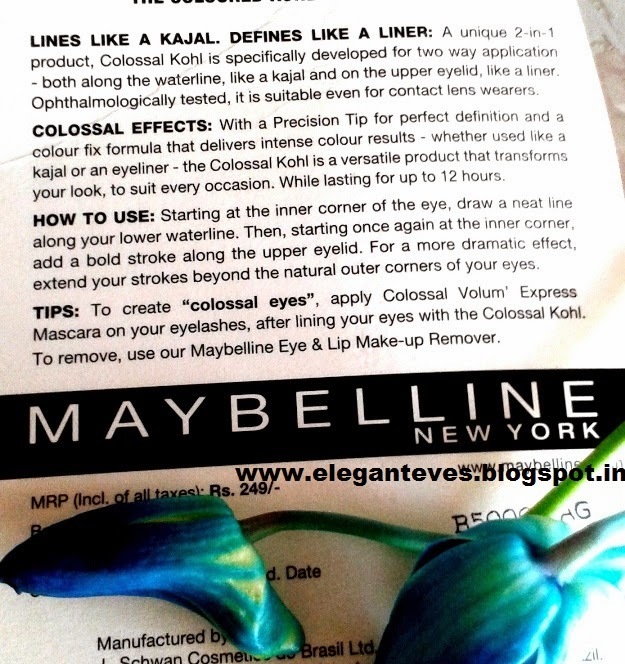 · Staying power on my non-oily upper eye lid is pretty long just like Colossal kajal and it literally stays on till I wipe it out with makeup remover. 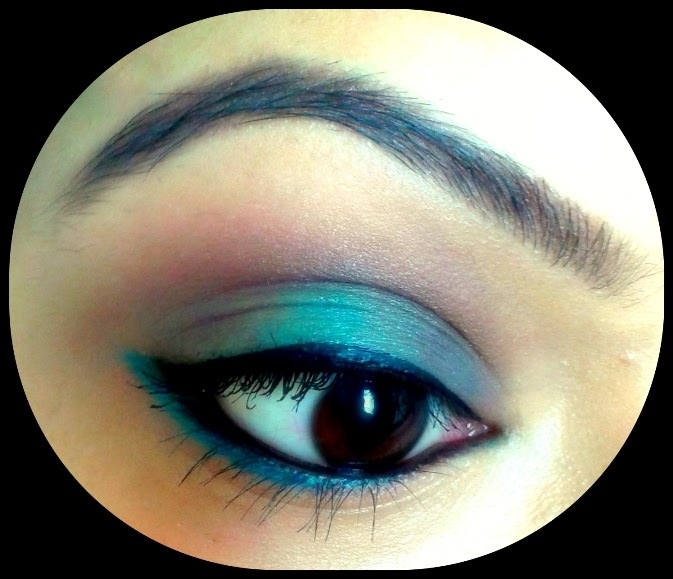 The longest I have worn this on the upper eyelid is 7 hours. On the lower lashline there is a bit of fading after 4-5 hours. 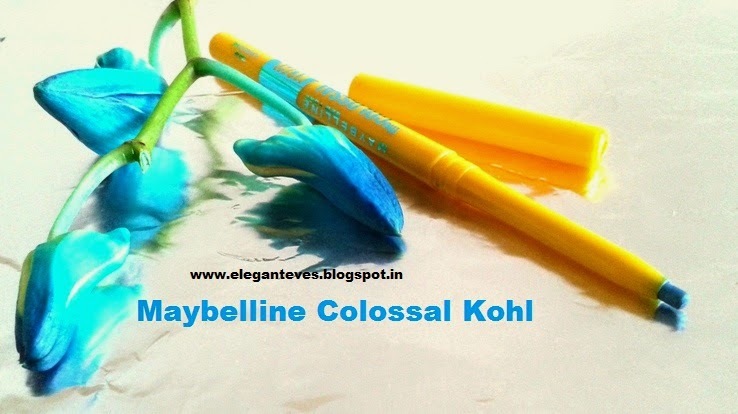 · The cheerful yellow packaging of colossal range makes it a breeze to search for them even in a cluttered vanity :D Love!! 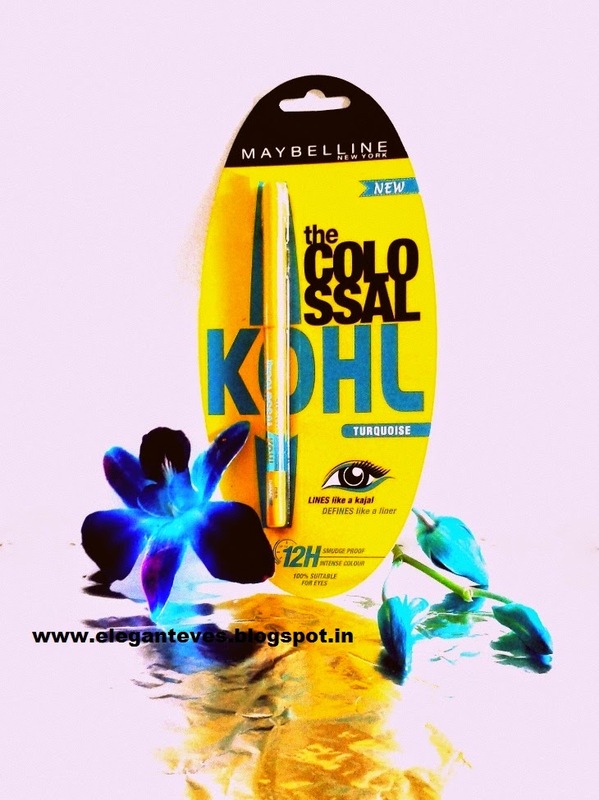 · Price is quite affordable compared to other high end brands and the quality, just like any other Maybelline products, is top notch too!